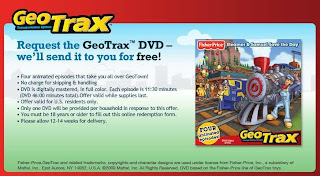 Click here to order the newest FREE DVD with 4 episodes from GeoTrax. My kids love these and they're great to stash away for rainy days and road trips. Order yours today (FREE shipping too)! Available while supplies last. Awesome thanks!!! The last time they had a free dvd we got it too!